4. 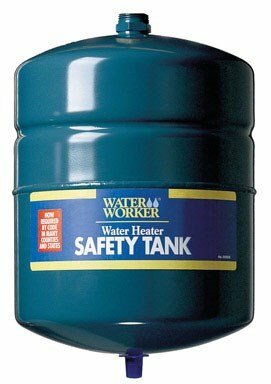 4 gallon, thermal expansion water heater safety tank, steel outer shell, polypropylene lined water reservoir, heavy duty butyl diaphragm that flexes, leak proof precharged air chamber, reduces pressure build up & harmful pressure spikes in closed water systems, temporarily absorbs expanded water overflow. This product adds a great value. Product is highly durable and very easy to use. This product is manufactured china. If you have any questions about this product by WaterWorker, contact us by completing and submitting the form below. If you are looking for a specif part number, please include it with your message. Brasscraft Cssc14R36 P Safety Plus Gas Appliance 5/8" Od Connector With 3/4" Mip Efv x 1/2" Mip x 36"